Ready to revamp your kitchen or dining room décor? Start with the Evelina Bar Stool, a stylish and comfortable barstool that complements the décor in a modern or retro setting. The barstool boasts a solid wood frame for immense quality. Plus, the barstool includes a rush seat that makes it easy to relax while you dine or hang out with friends. 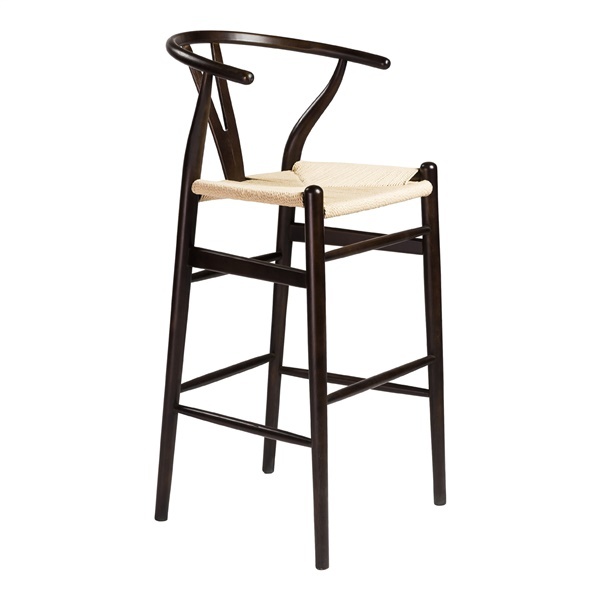 Incorporate a deluxe barstool into your dining room or kitchen thanks to the Evelina Bar Stool. Boasts a solid wood frame for long-lasting durability. Provides a rush seat that is both comfortable and supportive. Offers a timeless design to match the décor in any kitchen or dining room. this stool seems taller in the seat than my current kitchen bar stool. What counter height is recommended for this stool?